(Springfield, Virginia USA 22 October 2017)- The Ethiopian National Movement Council of representatives met in Arlington Virginia, US from October 20-22, 2017 to evaluate the Movement’s performance over the last one year and to chart a course that will accelerate the struggle for democracy, justice, and freedom in Ethiopia and durable national unity. During the course of the three-day meeting the Council took thorough assessment of the current political, economic, and security situation in Ethiopia. Our deliberations were characterized by honesty and frankness, even when this was difficult. As a result, we are happy to report that we have made notable progress in enhancing and deepening common positions and bridging differences. While concerned by the gravity of the deteriorating political and security situation in the country, the Ethiopian National Movement is buoyed by the determination of the Ethiopian people in general and the Oromo to see to it that TPLF’s tyrannical rule faces its inevitable demise. Whereas acknowledging the fact that for almost two years the sustained peaceful popular uprising in most parts of the country unequivocally rejected the TPLF regime and they demanded a fundamental change, we also realize that there has been some awakening in some constituent parties of the ruling party. We welcome this development and encourage their move towards firmly standing in their solidarity with the demands of their respective populations for rule of law, justice, and freedom in Ethiopia. It has to be noted here that our overriding objective is to make sure that TPLF is the last dictatorship ruling Ethiopia. The challenges faced by the country and the gravity of the situation requires an all-inclusive, collective, and responsible response before the country plunges into further chaos. To this effect, ENM reaffirmed its willingness and readiness to work proactively and collaboratively to ensure that the popular struggles being waged in Oromia and all parts of the country led to victory for the Ethiopian people. 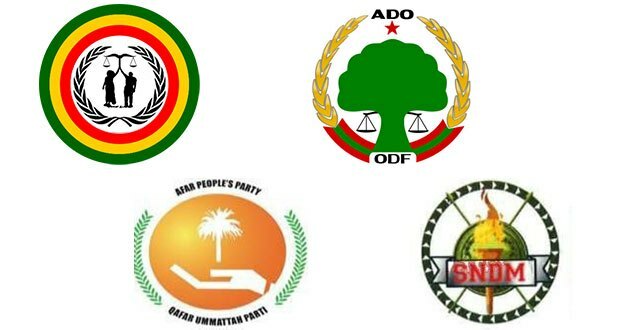 The Council of Representatives further emphasized the urgency of all stakeholders to work together to bring an end to the TPLF dictatorship and begin to lay the groundwork toward peaceful transition to a democratic order. The Ethiopian National movement unreservedly believes that the future of Ethiopia is solely dependent on establishing a genuine democratic and federal order where individual and collective human rights are, respected fully realized. Out of desperation to reverse its impending demise, the TPLF regime is busy these days with its divide and rule tactics trying to pit one community against other. Mobilizing its surrogates, it is provoking conflicts and mayhem to create the conditions to impose martial law and stump out all dissent and prolong its hold on power. To this end ENM calls upon all Ethiopian political forces and nationals inside and outside the country to work together and usher in a new Ethiopian spring where our age-old aspirations for genuinely democratic, federal, and a representative government elected by the populace become a reality. Finally, we call upon the members of TPLF’s army and security apparatus to stand with oppressed people of Ethiopia to bring an end to extrajudicial killings, torture, imprisonment and disappearances of prodemocracy activists in Ethiopia.